For now, the Keystone XL pipeline goes back to the planning stages. 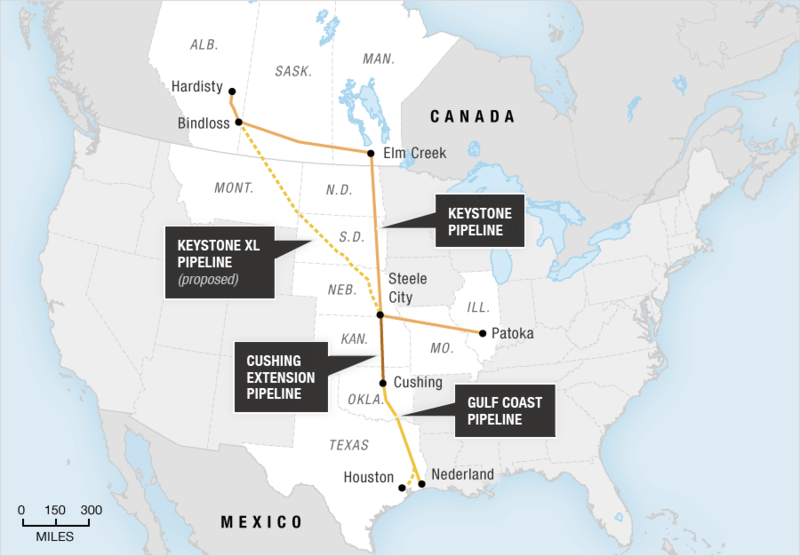 The pipeline – actually named the TransCanada Corp pipeline – would carry 830,000 barrels a day of mostly Canadian oil sands/tar sands/crude oil through Montana, North Dakota, South Dakota, and Nebraska to refineries and ports along the U.S. Gulf. “It has been pending for more than six years,” reports Reuters. Nebraska courts rejected the pipeline’s path in 2014, citing land ownership problems as unconstitutional. #NOKXL groups cite spill hazards and the interruption of wildlife migration as serious reasons why the pipeline should remain a figment of America’s imagination. The bill is likely to pass through Congress again, as Republicans have the majority. For now, we wait.